After all your research on pitch decks, do you still feel like you don’t know where to start? You’re not alone.  Our pitch deck quick start guide that will help you to jump start the process of putting together your pitch deck. Whether you are seeking funding, are attending a pitch competition, or if you just know you’ll need a pitch deck for your startup soon, this guide is for you.